Feel the true survival among the vast world that has different structures, lost buildings, paths leading somewhere, settlements and even cities. An Unexplored World is a giant map that has collected a huge variety of all kinds of structures and traces of mankind, as well as abandoned buildings and houses. 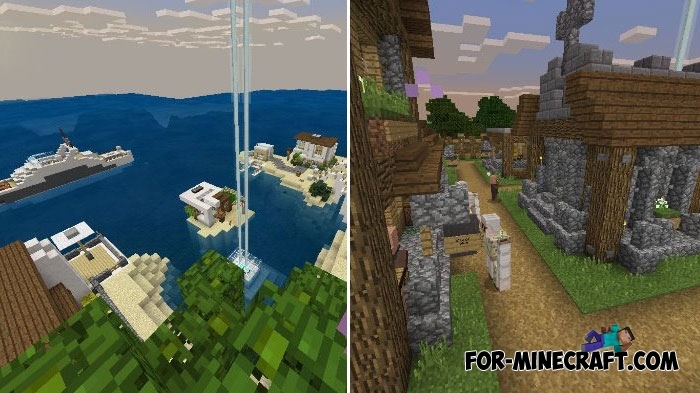 The map has several advantages over the standard Minecraft generation: more diverse world where other players lived a few years ago built so many things. There is no uniform style and each area includes different buildings. You can stumble upon a village or find a modern city with an infrastructure. 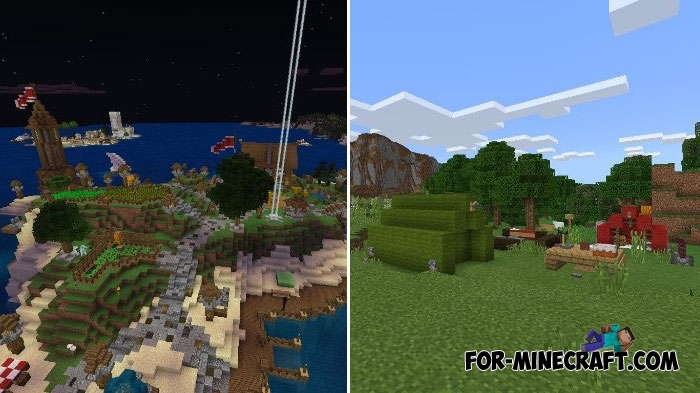 The recommended version is MCPE 1.6 with the latest features.